Sample Democratic Ballot Now Available! It is important that we vote not only for state-wide candidates, but all the way down the ballot, including judges. Please note, early voting begins on September 30th and you can still register until October 6, 2014. That means you can register and vote at the same time during "golden week" from September 30th through October 6th. 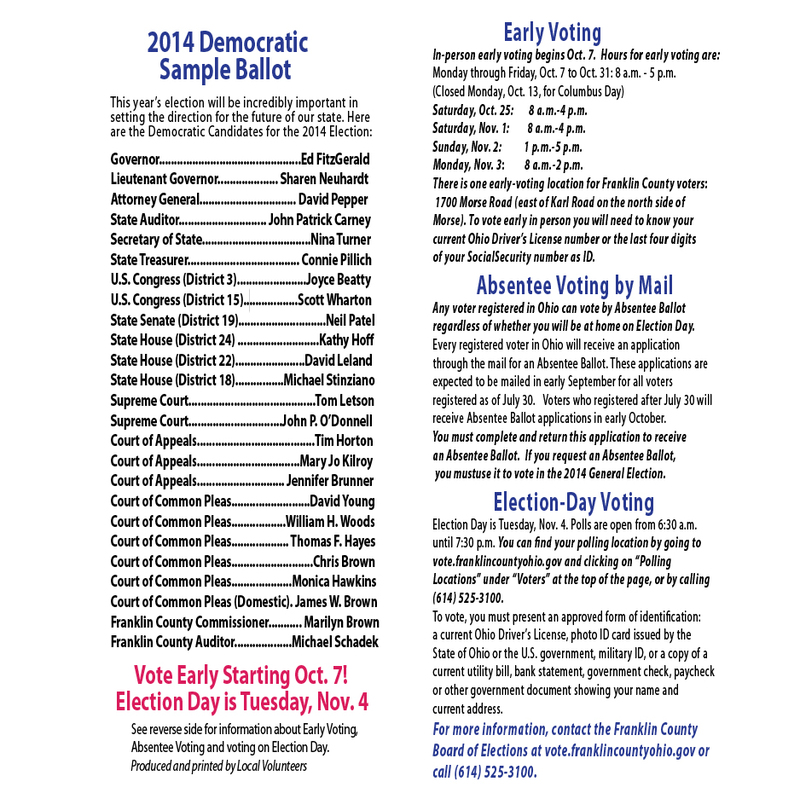 Read more about Sample Democratic Ballot Now Available!